PHOTO: Allen Ramsey, DWCPhoto.com. Highlands first baseman Mark Walkenhorst (right) throws to pitcher Ricky Raisor (left) to record an out in the second inning in the 9th Region quarterfinal win over Covington Catholic. Highlands won 7-0. It just takes the mention of four words to fire up the Highlands Bluebirds baseball team. They happened to draw each other in the 9th Region quarterfinals Monday at University of Cincinnati Health Stadium. The Bluebirds (21-17 overall) took advantage of three early Colonel errors to build a nice lead and cruised to a 7-0 blanking. PHOTO: Allen Ramsey, DWCPhoto.com. Highlands junior Taylor Baioni gets in position in Monday's game against Covington Holy Cross. NEWPORT - When the ball does not leave the infield, the chances of winning the softball game skyrocket. 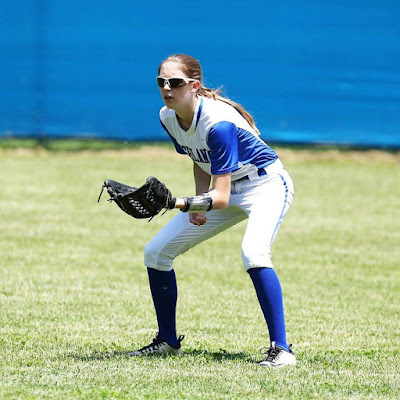 The Highlands Ladybirds softball team (22-10 overall) played that well defensively in the 9-0 win over the Covington Holy Cross Lady Indians (14-14) on Monday in the 9th Region quarterfinals at Veterans Field. Highlands senior pitcher Bailey Spencer struck out 10 in the one-hit win and Highlands player error-free defense behind her. Highlands moved to 16-0 against the region this season. PHOTO: Allen Ramsey, DWCPhoto.com. 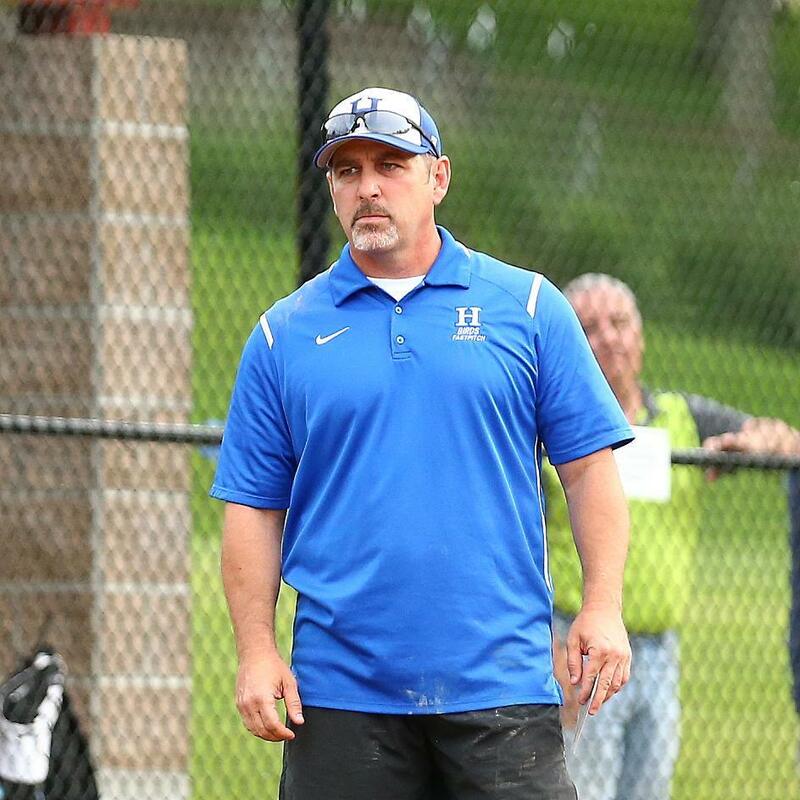 Head Coach Rob Coffey has guided the Highlands softball team to a 15-0 mark in 9th Region action this season. The 9th Region softball and baseball pairings have been set. The Highlands Ladybirds softball team (21-10 overall) is 15-0 against the region and opens the tournament Monday at 1 p.m. against Covington Holy Cross at Vets Field in Newport. The winner takes on either Dixie Heights or Boone County on Tuesday at 4:15 p.m.
PHOTO: Bob Jackson. The Highlands two-mile relay team finished fourth in the Class AA state meet Friday. From left are seventh-grader Maggie Schroeder, junior Chloe Gastright, sophomore Karsen Hunter and senior Molly Mearns. For the Highlands Ladybirds track and field squad, it marked the highest finish since the last of four straight state championships in 2011. The Bluebirds did not come close to winning another state championship, but they still finished fifth with 43.7 points Friday at the University of Kentucky in Lexington. PHOTO: Allen Ramsey, DWCPhoto.com. 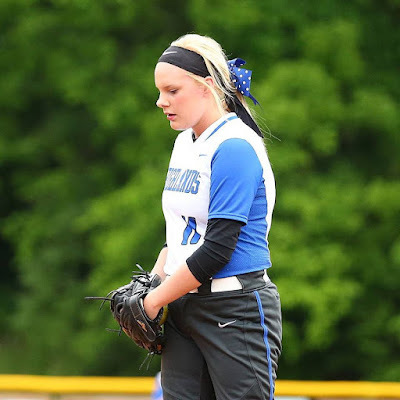 Highlands senior pitcher Bailey Spencer struck out 11 and retired the first nine batters in the 36th District championship game against Newport Central Catholic. Highlands won 2-1. 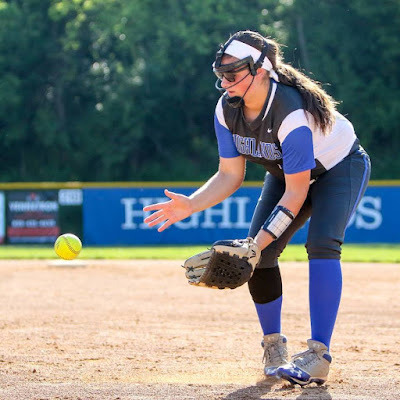 The Highlands Bluebirds baseball and Ladybird softball teams finished what they'd done to 36th District opponents all season Thursday. That is play solid defense. 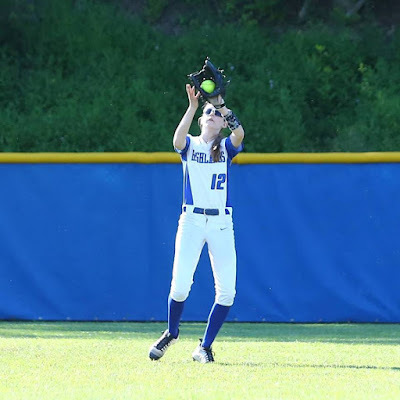 The Bluebirds (20-17 overall) took care of Newport Central Catholic, 5-0 at Bellevue for their fifth straight district championship and the Ladybirds (21-10) edged NewCath, 2-1 to win their third straight district crown. The Bluebirds have outscored district opponents, 44-0 on the season and the Ladybirds outscored district competition 76-1. PHOTO: Allen Ramsey, DWCPhoto.com. Highlands senior first baseman Brennah Dutcher makes a play in Tuesday's game against Newport. 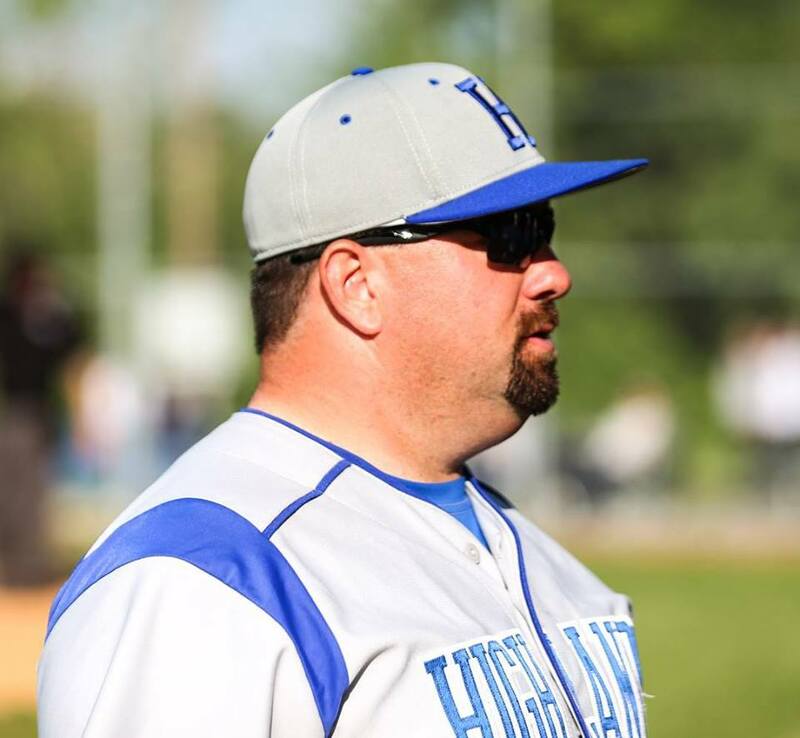 Opponents from the 36th District had not scored any runs on either of the Highlands Bluebirds baseball or softball teams this season. The Highlands track teams won convincing Class 2A, Region 4 titles Friday at Pendleton County. The Bluebirds ran away with 196 points besting second-place Lexington Catholic's 127 by 69 points. The Ladybirds tallied 181 points outdistancing Lexington Catholic by 28 points. None of the other seven teams scored triple digits. The Highlands baseball and softball games were cancelled Friday because of excessive rain. PHOTO: Allen Ramsey, DWCPhoto.com. Highlands junior Taylor Baioni hauls in the ball in the game Thursday against Dayton. Highlands won 10-0 in six innings on Senior Day. The Highlands Ladybirds softball team (19-10 overall) took down the Dayton. Lady Devils, 10-0 in six innings on Senior Day. Highlands moved to 13-0 in 9th Region action as a result and finished 4-0 in 36th District seed play. The rubber match went to the Blue and White on Wednesday. The Highlands Bluebirds baseball team (18-16 overall) took down the rival Covington Catholic Colonels in Park Hills for the second time in five days by a 9-2 score. The Colonels won the earlier game in Fort Thomas. Highlands moved to 11-5 in 9th Region action with the victory. 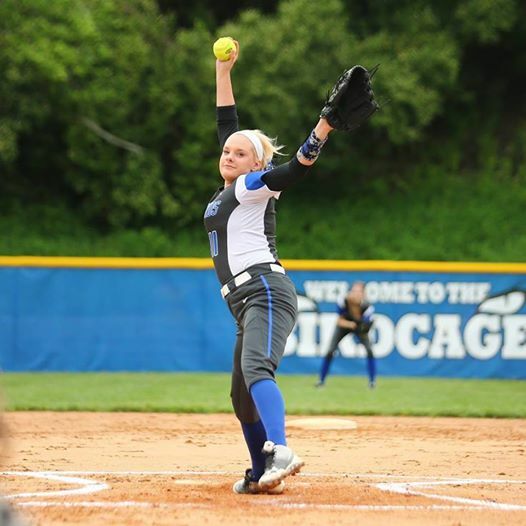 The Highlands Bluebirds avenged an loss earlier in the season with a 1-0 road victory over the Dixie Heights Colonels. Contributed Photo. The Highlands Bluebird tennis team captured another 10th Region crown and will send three to the singles and doubles state tournament next weekend. In this picture in the front row, from left, are Ben Emery, Peter Laskey, Logan Harned. In the back row, from left, are Coach Kris Laskey, Jeffrey Schenk, Colin Rizzo, Alex Traylor and Jackson Hopper. The Highlands Ladybirds tennis team finished as a semifinalist in the state tournament at Lexington Sayre Tennis Complex on Sunday. PHOTO: Allen Ramsey, DWCPhoto.com. Highlands sophomore catcher Josie Daley makes a catch during Saturday action at Winkler Field. 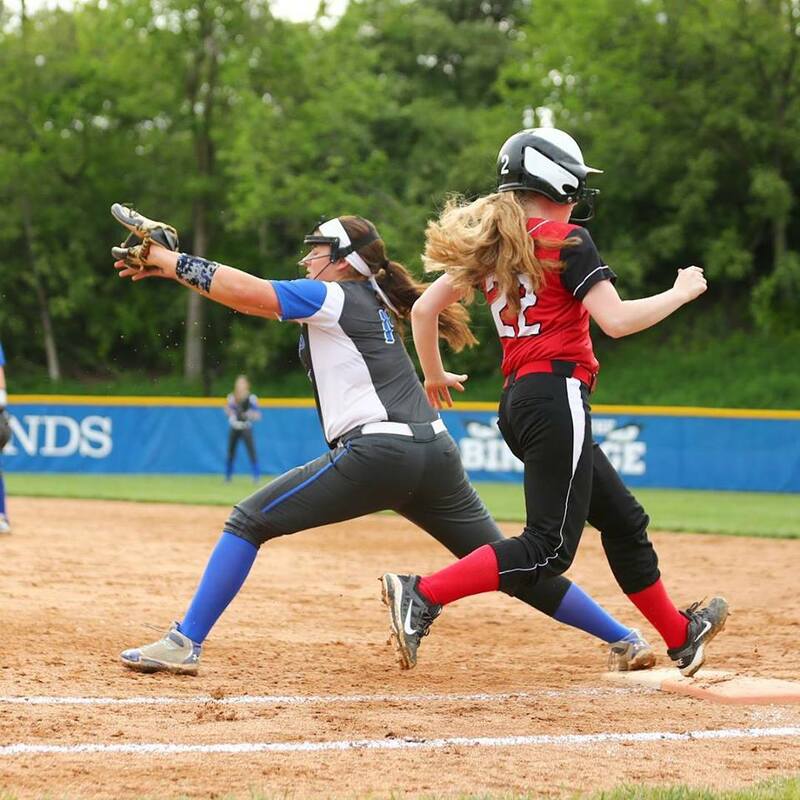 The Highlands Ladybirds softball team managed to stay unbeaten in 9th Region play Saturday. PHOTO: Allen Ramsey, DWCPhoto.com. 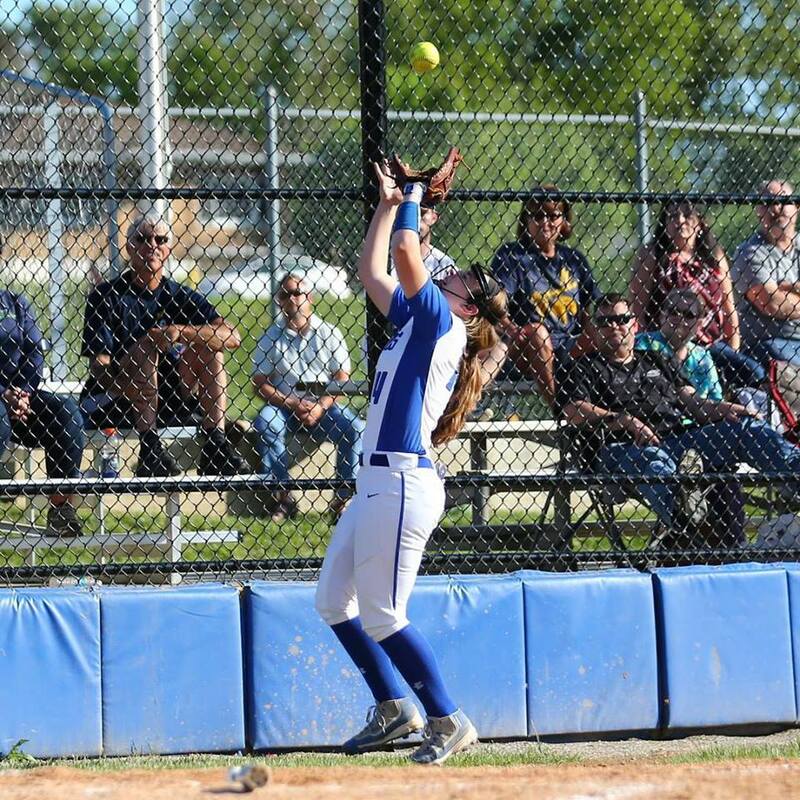 Highlands freshman Zoie Barth makes a catch in foul ground Friday against Notre Dame. Highlands won 4-0. It was not a case of not believing they could beat the arch-rivals. It was just a matter of proving their role as the 9th Region favorites against the Notre Dame Pandas on Friday. The Highlands Ladybirds softball team (17-9 overall) did that with a 4-0 blanking at Winkler Field. The game moved from Notre Dame to Highland Park because Notre Dame's field was too wet from rain earlier in the week. 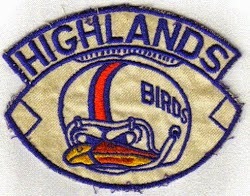 Highlands still played as the visiting team. Contributed Photo. The Highlands boys and girls tennis team captured the 10th Region team titles Wednesday at Harrison County High. 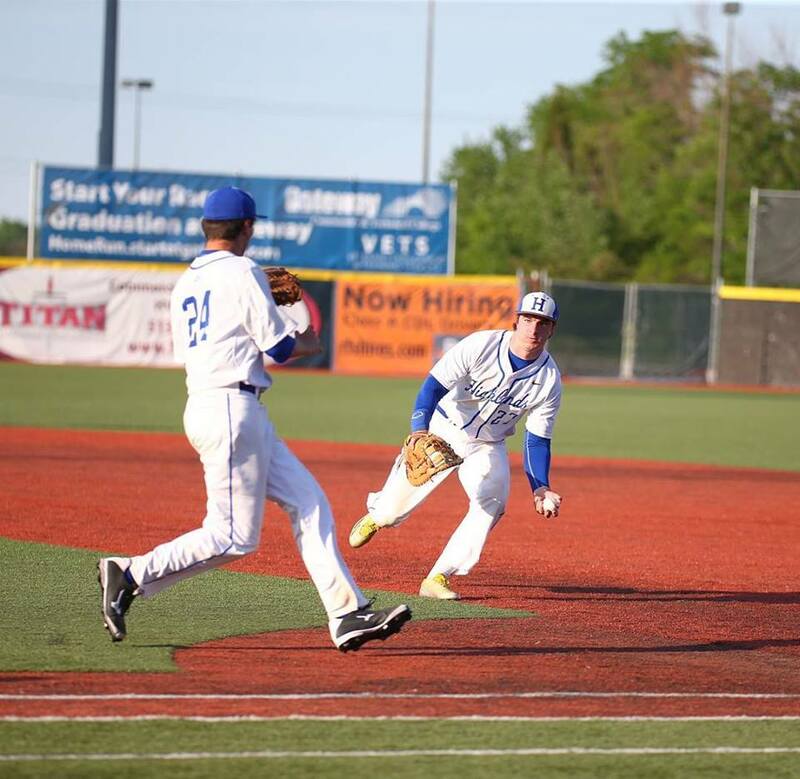 The Highlands Bluebirds baseball team (16-15 overall) took down the Covington Catholic Colonels, 4-1 Friday in Park Hills. PHOTO: Allen Ramsey, DWCPhoto.com. Highlands Head Coach Jeremy Baioni watches in a recent game. The Highlands Bluebirds baseball team earned another outright top seed in the 36th District Tournament. 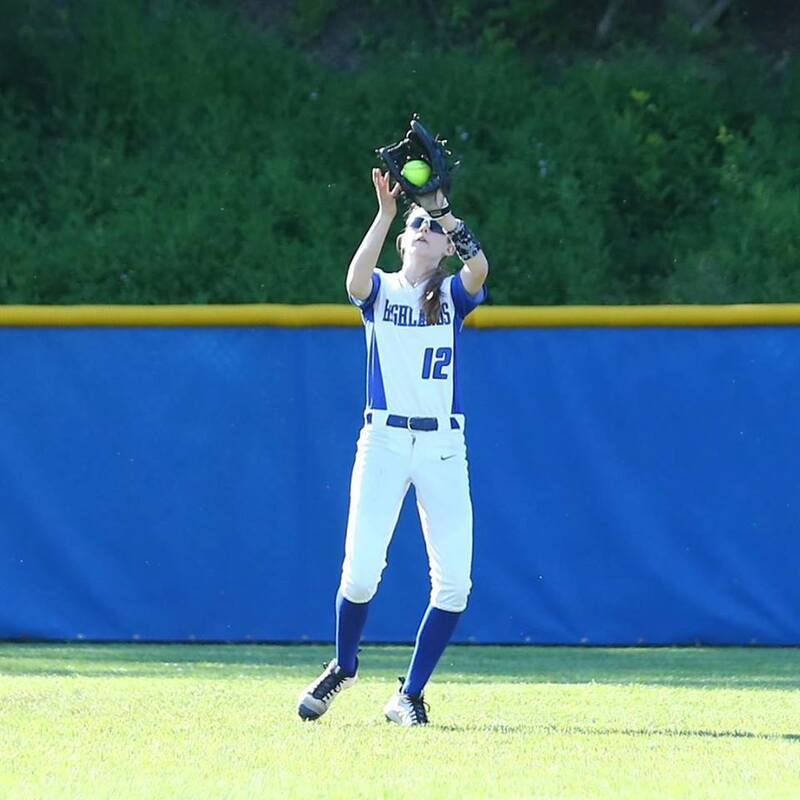 But at Highland Park on Thursday, the Bellevue Tigers made the Bluebirds (15-15 overall, 4-0 district) earn it with a 1-0 victory in eight innings. Brady Gosney batted in Trey Bowden in the bottom of the eighth to win the game off Bellevue pitcher Brady Hayes. PHOTO: Allen Ramsey, DWCPhoto.com. Highlands junior Bradley Greene lays down a bunt in a recent game. In a rematch of last year's 9th Region title game, the visitors fell 6-1. The Highlands Bluebirds baseball team (14-14 overall) saw its game against Boone County cancelled Monday because of excessive rain. The Bluebirds play host to Ryle on Wednesday. Game time is 5 p.m.
PHOTO: Allen Ramsey, DWCPhoto.com. 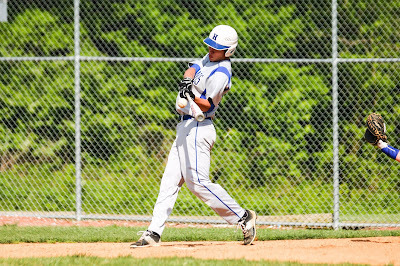 Highlands sophomore Drew Rom lights into a pitch in a recent game. It turned out to be a bad day for both the Highlands baseball and softball teams Saturday. Both teams dropped both games played in or near Lexington. 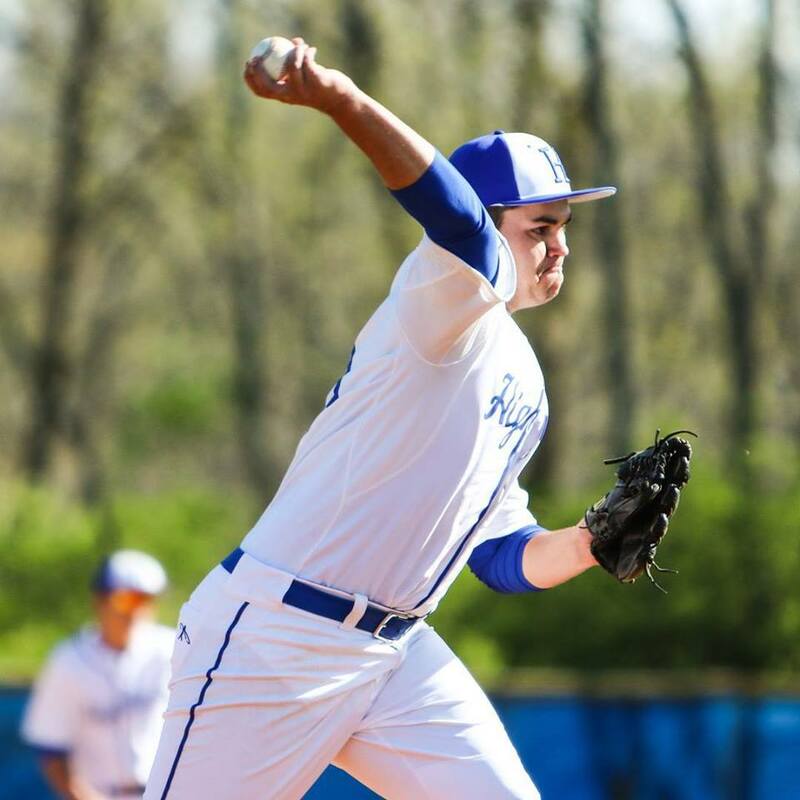 The Bluebird baseball team (14-14 overall) fell to the host Lexington Catholic Knights, 8-1 before losing to Louisville Trinity, 13-0. Highlands takes on Boone County at Highland Park on Monday. Game time is 5 p.m.
Photo: Allen Ramsey, DWCPhoto.com. 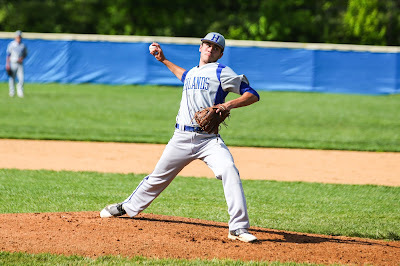 Highlands senior pitcher Ricky Raisor (4-3 overall) threw a one-hit shutout against the rival Newport Central Catholic Thoroughbreds on Friday. SILVER GROVE - The White and Blue did manage nine hits in the annual tilt against the rivals on The Hill. Combine that with 10 walks, five Newport Central Catholic Thoroughbred wild pitches, two passed balls, nine stolen bases and a solid outing from senior pitcher Ricky Raisor and it added up to a 10-0 five-inning run ruling for the Highlands Bluebirds baseball team (14-12 overall). The Bluebirds took a step closer to another top seed in the 36th District Tournament to be played at Dayton in a few weeks. PHOTO: Allen Ramsey, DWCPhoto.com. Highlands pitcher Ethan Doty fires to the plate in a recent game. 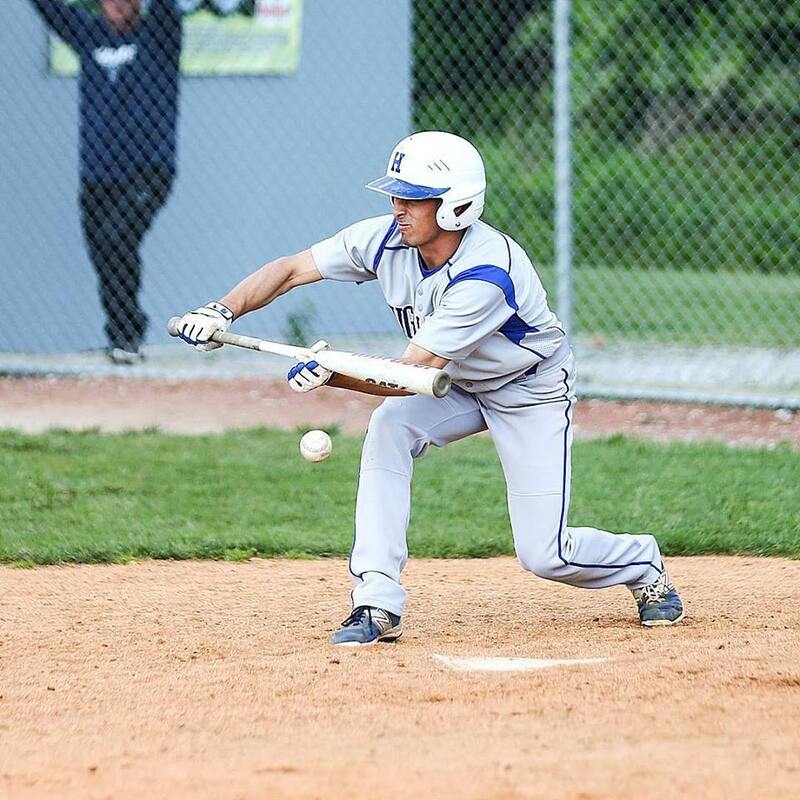 The Highlands Bluebirds baseball team (13-12 overall) fell to the Beechwood Tigers in Fort Mitchell, 12-2 in five innings on Wednesday. The Bluebirds dropped to 6-3 in 9th Region play. Beechwood outhit Highlands, 9-2. Brayden Combs went 3-for-3 with two home runs, a triple, five runs batted in and three runs scored to lead the Tigers. Kyle Rust doubled for Highlands. PHOTO: Allen Ramsey, DWCPhoto.com. 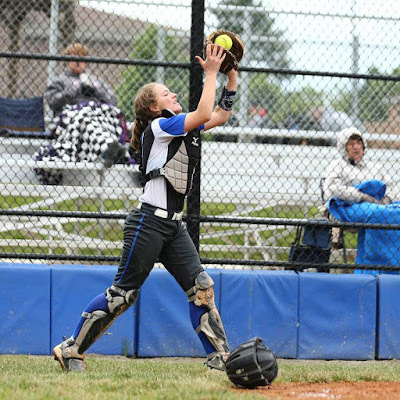 Highlands senior first baseman Brennah Dutcher makes a play in a recent game. Highlands won its 10th straight with a 3-1 win at St. Henry on Tuesday. 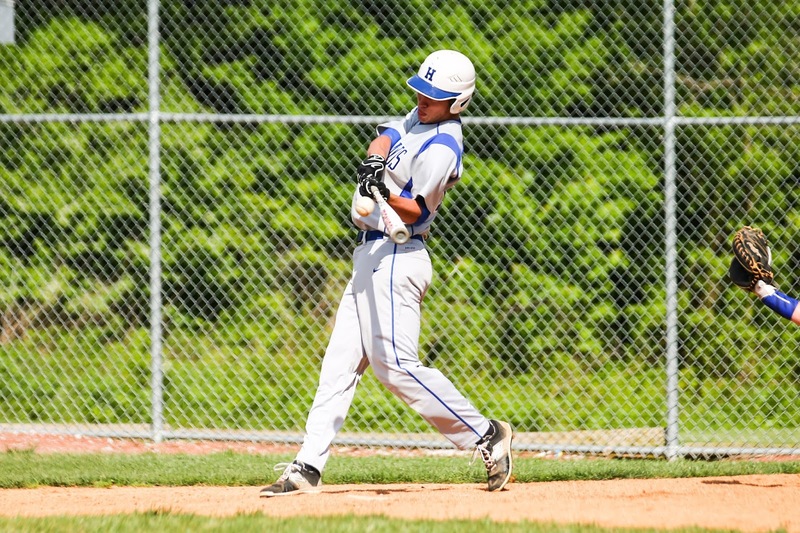 The Highlands Bluebirds baseball team (13-11) beat an Ohio opponent for the first time in six tries this season with an 11-4 win over the Cincinnati Elder Panthers on Tuesday at Highland Park. Highlands outhit Elder, 10-8. Conner Kreeger, Austin Mayhew and Brady Gosney had two hits and two runs batted in each. Kreeger and Gosney added doubles. Kreeger, Trey Bowden and Mayhew scored twice for the Bluebirds. PHOTO: Allen Ramsey, DWCPhoto.com. Highlands senior pitcher Bailey Spencer fires away in Monday's game against Newport. Highlands won 6-0 to clinch the top seed in the 36th District Tournament. 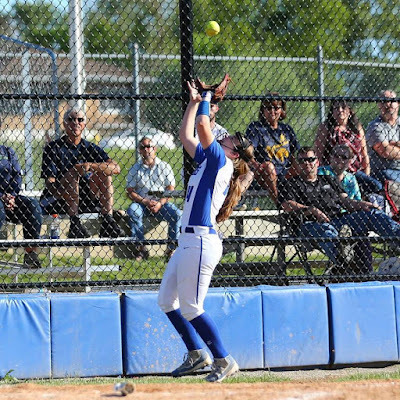 The Highlands Ladybirds softball team (15-6 overall) clinched another top seed in the 36th District with a 6-0 blanking of Newport on Monday. Highlands stayed undefeated in 9th Region action at 9-0 and moved to 3-0 in district play. The only district seeding game remaining is May 19 against Dayton.